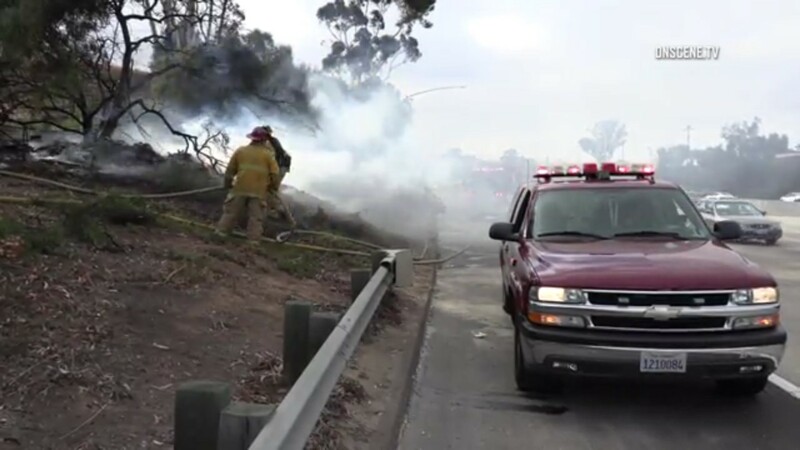 A small brush fire that broke out Sunday along Interstate 805 in National City was quickly doused by crews. The blaze was reported shortly before 5:30 p.m. along the southbound side of the freeway near the Plaza Boulevard offramp. Nearby residential buildings were spared from the flames by crews from the National City Fire Department and there were no reports of injuries. The freeway remained open while firefighters worked to extinguish the blaze. Posted in Crime | Tagged 805 freeway, fire, National City Fire Departrment, traffic, What caused the fire?